This RC French fighter has fully functional wing warping and an all-flying stabilizer/elevator set up. Brian Dean of East Hampton, New York, is a member of the Long Island Skyhawks and an accomplished giant-scale modeler. 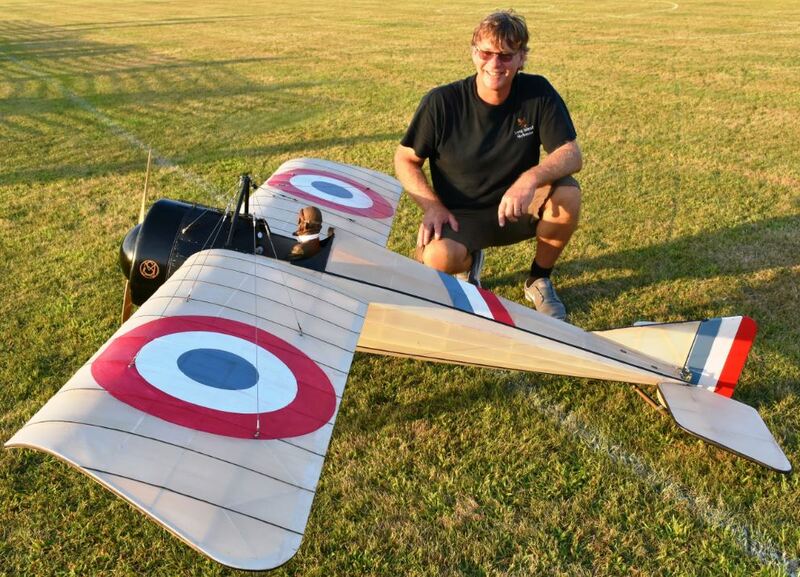 His latest build, a 33%-scale Morane Saulnier Type N, is the culmination of his modeling experience to date. The full-size Type N entered service in April 1915, and only 49 were ever built. The aircraft’s service life was short, and it was quickly rendered obsolete as more advanced aircraft developed. 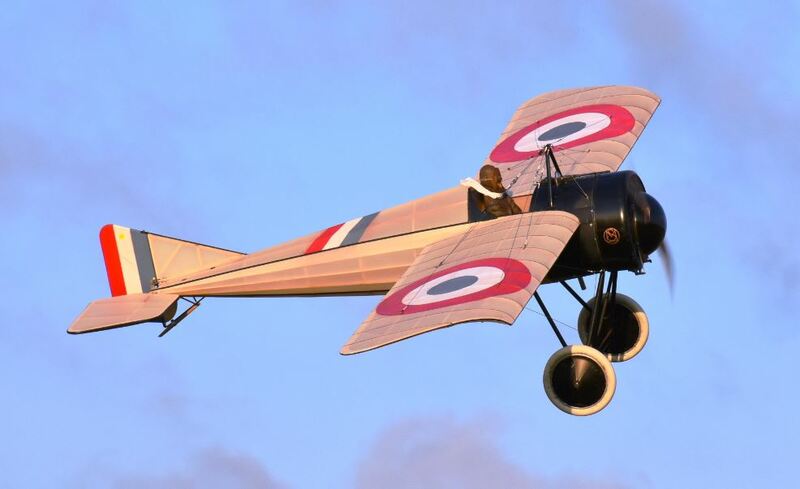 To create his unique model, Brian found an old set of Nick Ziroli’s Morane Saulnier Type N plans and enlarged and modified them to include the functional wing warping and all-flying stabilizer that the original full-size aircraft was equipped with. To do this, he also had to redraw the wing profile and replace the flat-bottom sport airfoil with thin under-cambered ribs to keep the wing flexible. Using scale drawings and documents, he copied the full-size aircraft’s wing-warping mechanism, with control cables riding through pulleys above the wings and a servo-operated arm beneath to pull the trailing edge of the wing panels up and down. The system works extremely well and the model’s roll rate is equivalent to aircraft having ailerons. Brian created the model using the tried-and-true stick-build method, and he handmade all of its parts. The 107-inch-span plane is 64 inches long and weighs 24 pounds. The Morane is covered with natural Solartex and painted using several paint types, including gloss black spray paint, Nelson acrylic hobby paints, and some Floquil paints. He applied equal parts Minwax rub-on clear polyurethane satin with some brown Briwax brushed on and rubbed out. The N is powered by a 3W 55EI gas engine equipped with a K&S canister muffler. The model is finished in the colors of France’s great ace: Jean Marie Navarre. The model performs extremely well. Hats off to Brian for his amazing wing-warping project.